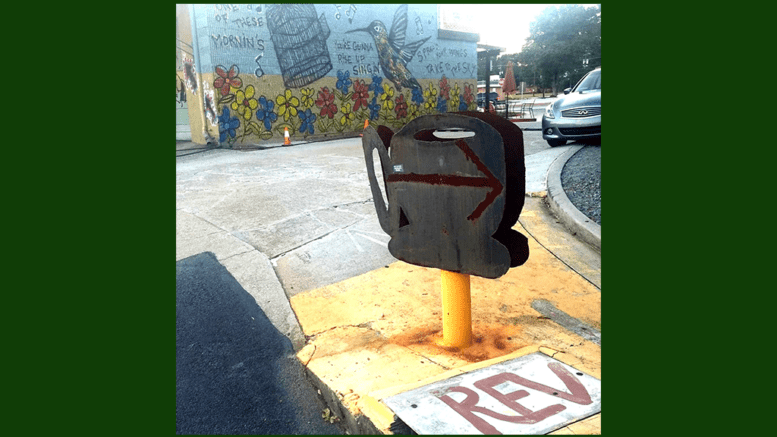 Artists, musicians, and local coffee fiends will come together for Rev Coffee Roasters’ Fall Rev Fest at its location in Smyrna this Saturday, October 6. Rev Fest is held every year in spring and in fall to provide an opportunity for artists and musicians to connect with locals and each other, as well as a platform to display and sell their work in an open and comfortable environment. The festival starts at 10 a.m. with a full roster of musical performances and an arts and crafts market until 8 p.m. Of course, Rev Coffee’s full coffee and food menu will be served all day. This year, the fall festival is sponsored by The Music Studio at Vinings, one of the largest and most popular family-friendly music studios in Cobb County. The studio offers lessons from professional teachers on a wide variety of instruments, as well as performance and networking opportunities for students of all ages. Representatives from the studio will be distributing free lesson coupons at Rev Fest, and studio teachers will be performing spotlight sessions until 11:45 a.m.
Americana songwriter Andrew Vickery takes the stage at noon, followed by pop-rocker Steve Nebraska at 1 p.m. Funky jam band Jive Revival will play at 2 p.m., and indie-folk duo The Bluebird Two go on at 3 p.m. Atlanta rocker Rob Agocs and the Holy Stars and Friends close out the night at 5 p.m. Participating vendors pay $40 to enter, which helps pay for the costs of the festival. There will be space for around 45 booths, and artists will be set up by 9:30 a.m. Parking is available in the paved lot across Spring Road or the grassy lot across Jonquil Drive. Rev Coffee Roasters is located at 1680 Spring Rd SE B, Smyrna, GA 30080. More information can be found at Rev Coffee Roasters’ website. Be the first to comment on "Fall Rev Fest Returns"